We understand that times of change and transition in life require extra support. That’s why we make the unique commitment to having a dedicated Pastoral Care team to help you through life’s challenging times. An integral part of the friendly faces seen around the corridors of Mary Potter Nursing Home and Loreto Home of Compassion, our Pastoral Care team provides a helping hand, a shoulder to cry on and a connection to faith for residents, family members, friends and staff alike. 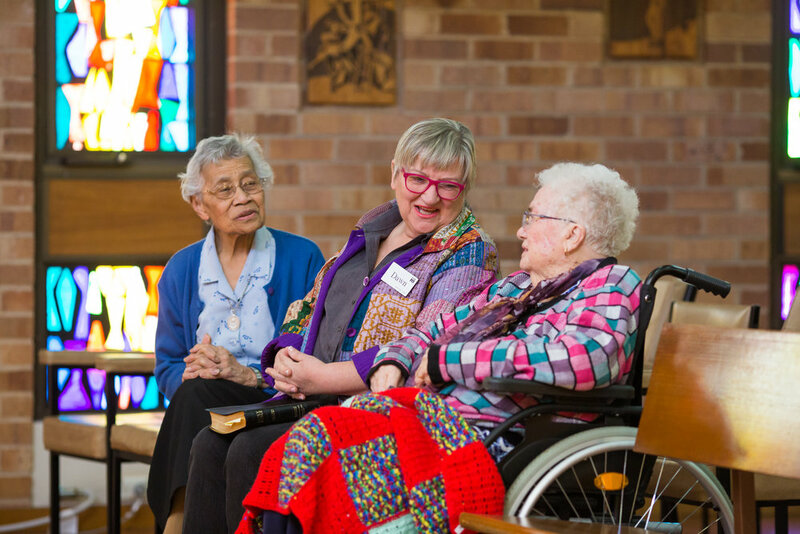 Pastoral Care services are available at both residential facilities daily. Mass and church services are held weekly. Ministers of all denominations are most welcome to attend our facilities.